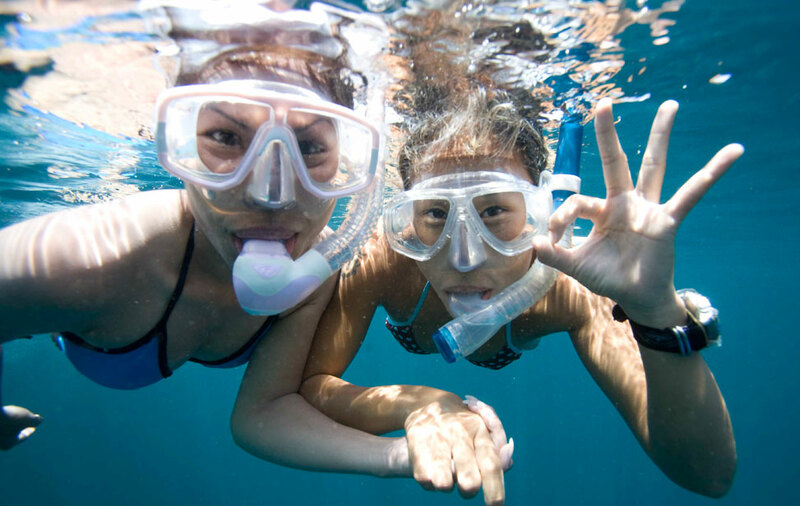 Are you ready for an exciting experience exploring the beauty of the underwater world through snorkeling? Just Add Water offers a Discover Snorkeling course that will introduce you to the basic skills and equipment needed for a comfortable and enjoyable experience! Just Add Water has the perfect opportunity for you. It’s called Discover Snorkeling. Designed for the snorkeler with little or no experience in the activity. We will introduce the options available in snorkeling equipment; show you how to properly fit a mask, snorkel and fins; how to use a snorkel for airway control and the proper fin strokes to glide comfortably over the surface of the water. You need to be at least 8 years of age and be comfortable in the water. In other words, while you don’t have to be a great swimmer, you do need to be able to swim. It’s really very simple. We will spend some time discussing some fundamental snorkeling equipment with your instructor, then hop in the pool, where the instructor will demonstrate and help you practice easy-to-master snorkeling skills. Professional Equipment Fittings take place either at one of the two Just Add Water locations, pool sessions take place at a nearby pool. Starting and ending times will vary by location. Contact store for exact schedule. Contact Just Add Water to choose a date based on your availability. You can sign up in person or over the phone at either Just Add Water location.